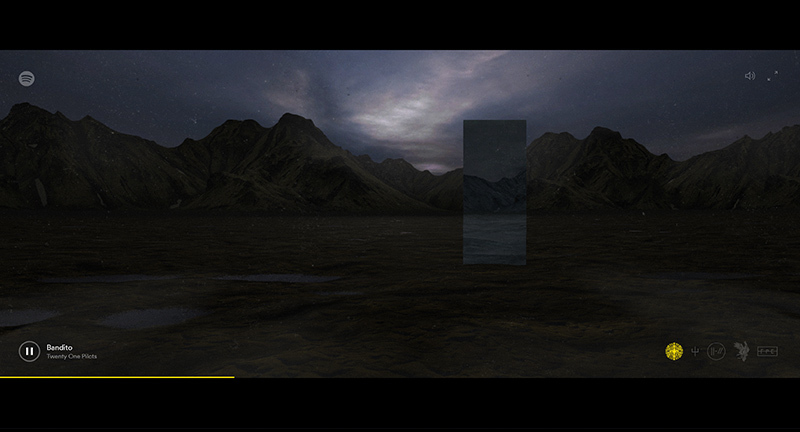 Immersive cinematic interactive 3D music video! 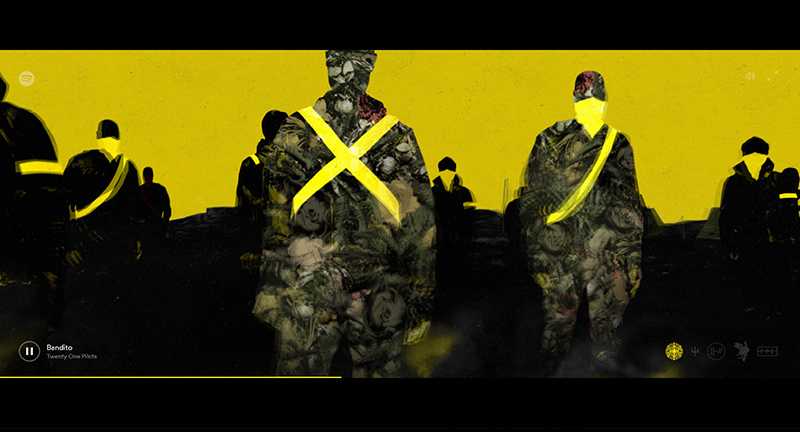 From 21 Pilots in collaboration with Spotify, beautifully crafted site taking you through the key track. Love the flow from the city, to wind swept panoramas, layers of meaning added as you explore the scenes. Love this kind of exploratory creative work. 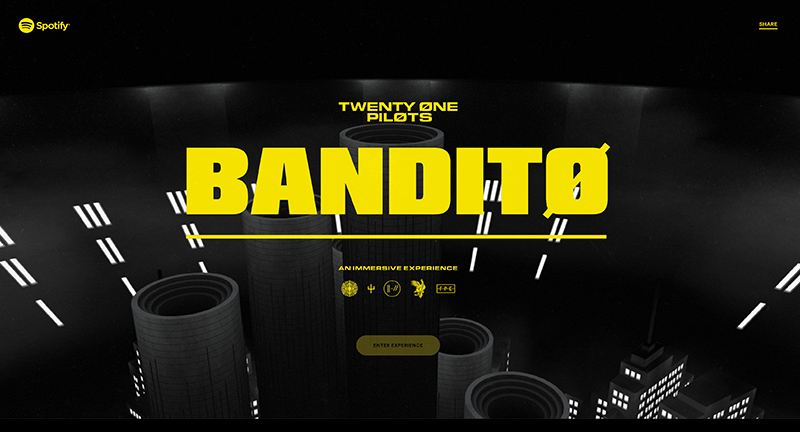 Created by Resn (@resn_has_no_i) and Spotify (@spotify).